Staying in a New England inn during foliage season is the quintessential fall vacation. If you're conjuring up images of historic mansions, elegant antiques, thick oriental rugs, and cozy fireplaces for those crisp fall nights -- well, you're right on the money. These 10 inns all have charm to spare. The cozy 10-room Ale House Inn -- more suited to adults than families -- is housed in a historic 130-year-old former brewery warehouse a block from downtown Portsmouth. Room decor is minimalist, hip, and chic, but there isn't much to this boutique hotel other than a small lobby and common area with free snacks. There is no on-site restaurant or bar, but the Market Square District location means shops and dining are nearby. The hotel gives free tickets to the Seacoast Rep Theater, which is located on the ground floor, and a free local beer upon arrival. Each room is equipped with a pre-loaded iPad that includes a ton of information about Portsmouth. A cozy, three-story Victorian property that was once a privately owned mansion, the Kennebunkport Inn offers a relaxing getaway in a classic New England setting. 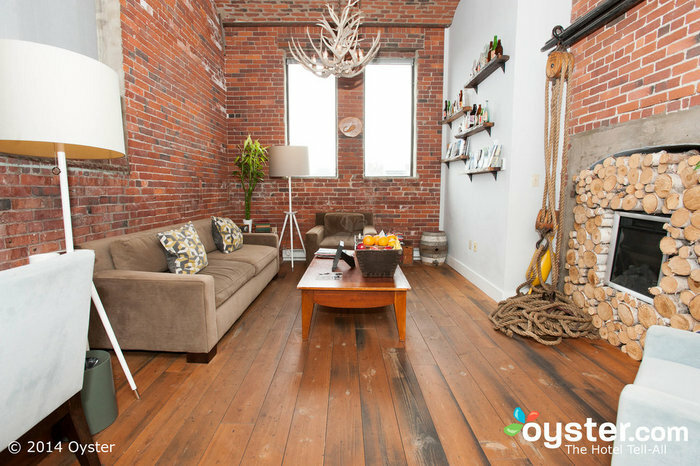 It is a solid pick for both business and leisure travelers, particularly given its location right in Dock Square and within walking distance of restaurants, boutiques, galleries, and shops. Built in the 1890s and renovated in 2003, the inn is beautifully decorated with an elegant blend of contemporary furnishings and antiques featuring a nautical color scheme of blue, white, and red. The property has retained many of its turn-of-the-century architectural elements, which means some rooms are smaller and may have different amenities than others (e.g., fireplaces). Overall, the charming vibe, elegant decor, and thoughtful extras such as the delicious free breakfast make this inn a real gem. 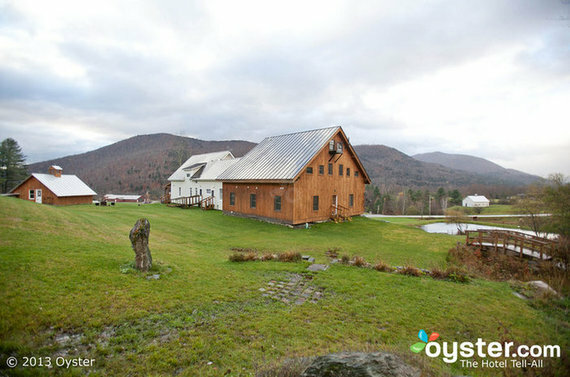 With its warm, urban-chic vibe, Amee Farm isn't a typical B&B. Rooms look straight out of an interior design magazine, with a near-perfect combination of rustic, warm, quaint, and stylish touches. 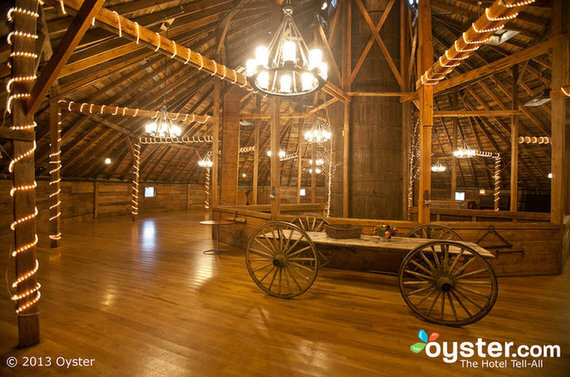 Wide-planked hardwood floors, comfortable beds with white, soft linens, and interesting antiques are found in all the rooms. Bathrooms have granite showers with rain showerheads and updated fixtures (though not all rooms have private bathrooms). There are no TVs in rooms -- only in the common area -- but Wi-Fi is free and available throughout. One perk here is an inviting wrap-around porch with Adirondack chairs for admiring the scenery. 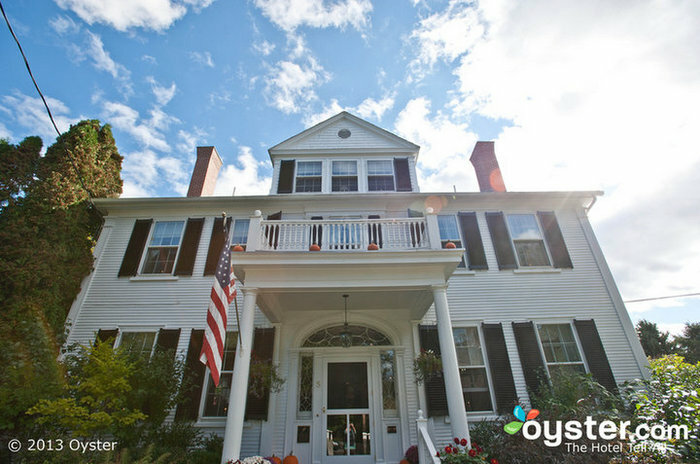 This renowned inn is one of the premier luxury options in Maine, and offers a true boutique experience in charming Kennebunk. It is housed in a historic building, and so its 26 rooms vary greatly in size. However, they all feature flat-screen TVs, iPod docks, free Wi-Fi, and classic, elegant decor. 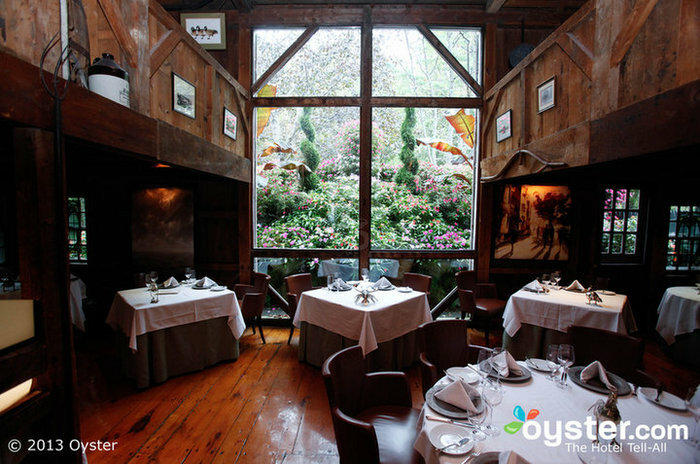 The much-acclaimed restaurant serves outstanding (and pricey) seasonal cuisine in an 1820s restored barn, and the spa is arguably one of the best in the region. The waterfront cottages are quite a trek from the main building, so make sure you book a guestroom instead if you want to be closer to the property's great amenities. The Winvian is a romantic, upscale property set on 113 acres of countryside outside tiny Morris. Its 19 individually decorated cottages all have a feel of understated, rustic elegance with the convenience of modern amenities, including Bose surround systems, flat-screen TVs, and Nespresso coffeemakers. All units have working fireplaces, large bathrooms with separate walk-in showers and jetted tubs, and unique, mind-blowing design features; one cottage has a helicopter shell that doubles as a living room. The outstanding spa and the wonderful restaurant serving a tasty farm-to-table menu are just some of the highlights. Vanderbilt Grace is a 100-year-old mansion built by the Vanderbilt family that has been converted into a modern, elegant hotel. Rooms are well-appointed, the dining is first-class, and the location is prime -- close to Newport, but without the noise. A spa, a substantial fitness center, and two swimming pools round out the list of features. Plus, guests get plenty of free champagne -- when they check in, and at breakfast every morning. 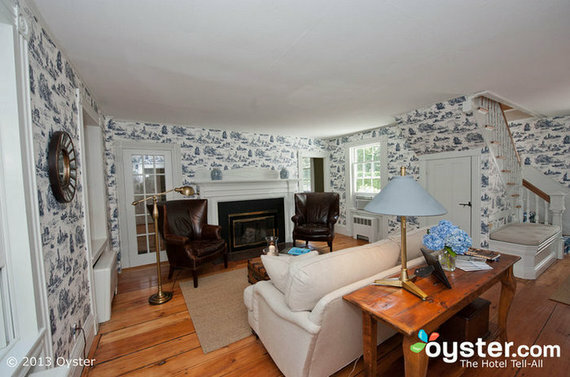 The Chatham Gables Inn in Cape Cod provides an elegant and comfortable escape. Located in a quiet, residential neighborhood, this historic inn offers just seven charming rooms with incredible attention to detail. Beyond the sophisticated decor, the outstanding feature here is a full breakfast served each morning in the sunny garden room. Modern touches, including free Wi-Fi and flat-screen TVs add convenience, while some rooms have extra special amenities including fireplaces, private entrances, and even one room with a private porch and rocking chairs. The Round Barn Farm has a serene location with more than 245 acres of rolling green hills in every direction. 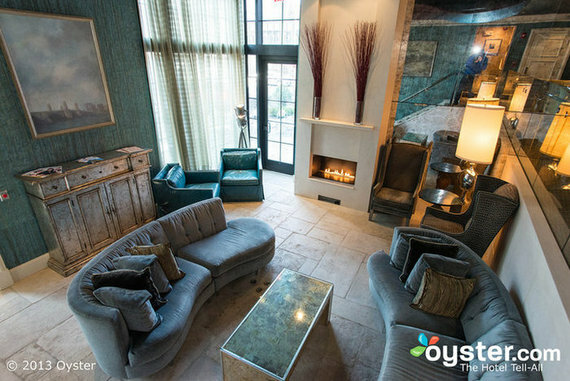 It has a decidedly romantic ambiance, with rooms that have whirlpool tubs and/or working fireplaces. Having a small indoor pool and fitness center (though technically it's only a few cardio machines) is a true B&B rarity in these parts, but the real draws here are the peaceful ambiance, romantic and cozy experience, incredible views, and fresh air. 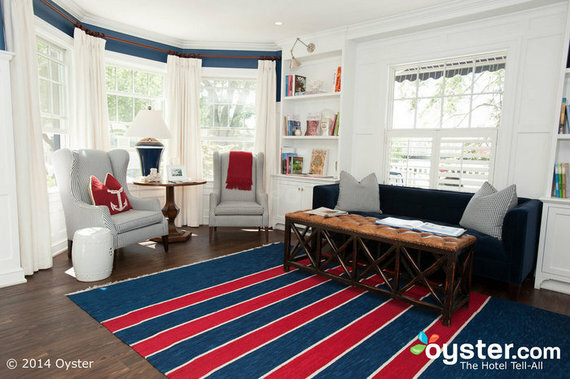 This historic sea captain's home is now a charming, 15-room inn full of indulgent freebies and modern touches. It's in a quiet, residential area of Kennebunkport, within walking distance of the shops and restaurants downtown. Cozy rooms vary in size, decor, and amenities -- some have fireplaces, soaking tubs, and private entrances -- while all include modern perks such as free Wi-Fi, iPod docks, and flat-screen TVs. Free communal breakfasts here are a gourmet, sit-down affair, and more yummy snacks are available throughout the day, including at afternoon tea. A no kids under 10 policy helps the inn maintains an intimate and peaceful atmosphere.